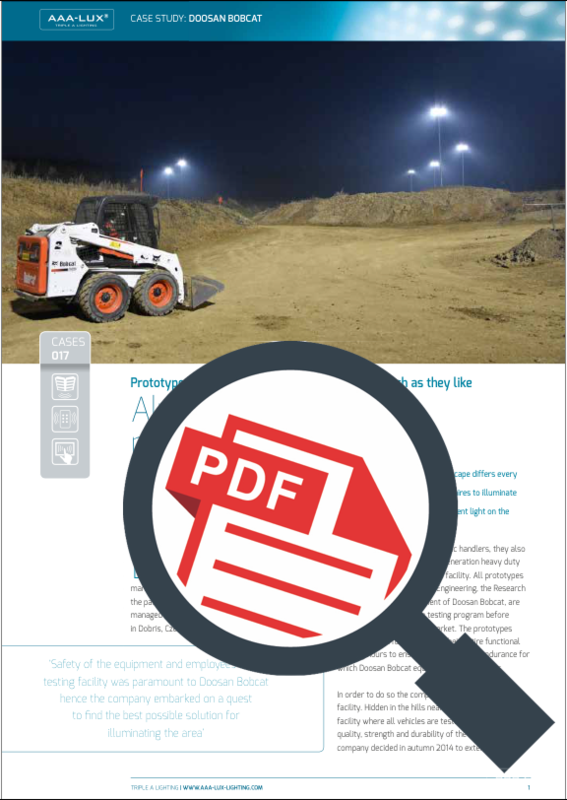 Testing activities at the Doosan Bobcat testing facility commence day and night and the landscape differs every day. What is a hill today, can be a pit tomorrow. 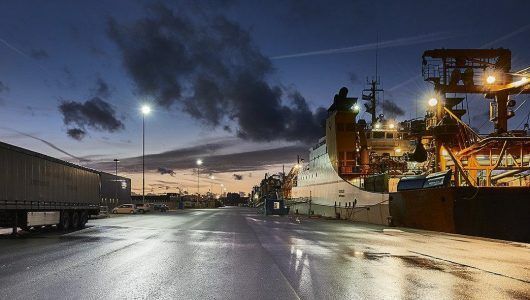 Doosan Bobcat selected AAA-LUX LED luminaires to illuminate the area. 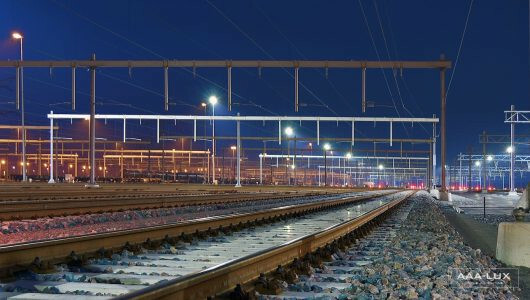 The wireless and flexible controls of AAA-LUX LED luminaires always provide sufficient light on the ground no matter what distance.